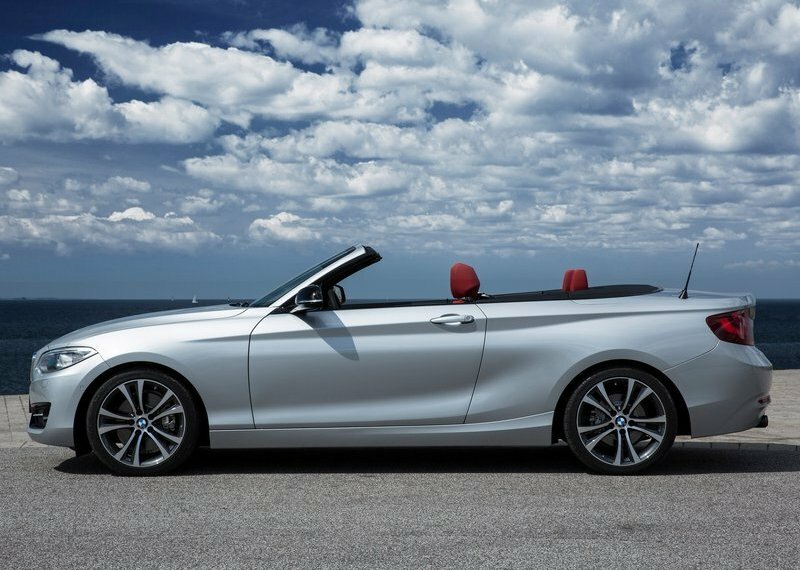 BMW has pulled off the covers from the new 2-series convertible. It effectively replaces the 1-series convertible, similar to the story of 1-series coupe being replaced by the 2-series coupe. The car will be available in 4 engine variants: a 220i with 184 bhp, a 228i with 245 bhp, a new diesel engine, 220d with 190 bhp and an M version, M235i with a monstorous 326 bhp. The M235i will get a six-speed manual gearbox while the others have an eight-speed automatic `box. The smaller engines will be offered in sport, luxury and M Sport configs but the M235i will only get the M Sport. The electronic fabric roof raises or lowers itself at a max speed of 30mph in just 20 seconds. The car is 72mm longer and 26mm wider than before. The wheelbase has also been increased by 30mm and the boot is now bigger at 335 litres. The front seats feature an Easy access system foe better entry/exit for the rear passengers, who can now enjoy 0.4inch of additional leg space. The in-car entertainment system will have twitter, facebook enabled, under the Technology package and accessed by LTE connectivity. BMW will also update the navigation maps on the car through this service. The 2-series gets the usual BMW EfficientDynamics treatment with brake energy regeneration, ECO PRO mode and start-stop. The 2-series competes with fellow German car maker, Audi’s A3 cabriolet and another German gem, the Mercedes CLK class. The company will have competitive pricing for the 2-series and expects many pure driving enthusiasts to jump on 2-series bandwagon. The BMW 2-Series will debut early next month at the Paris Auto Show and will be available for sale only in 2015. 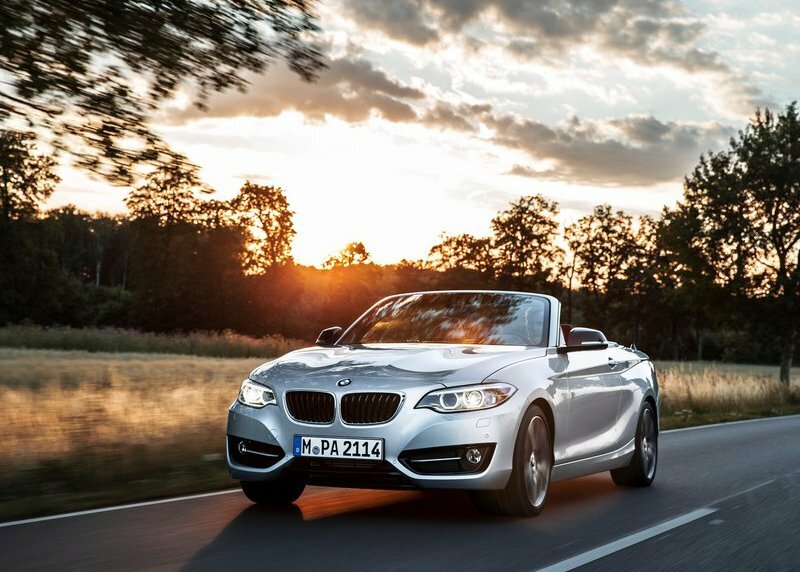 Tell us what you think about the BMW 2-Series on our Facebook page. Do the Audi A3 and Merc CLK class stack up against this classy Bimmer roadster? 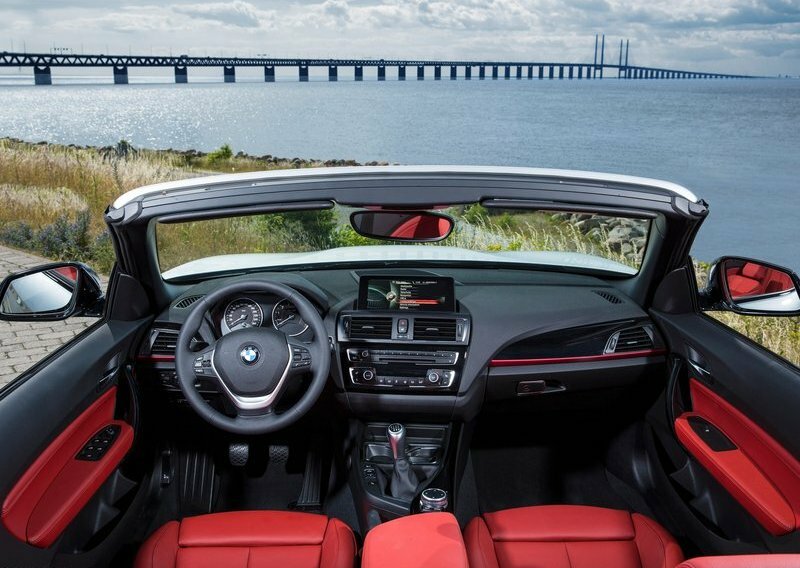 It’s needless to mention that this 2 Series Cabrio is a powerhouse with its 4 massive engine choices. 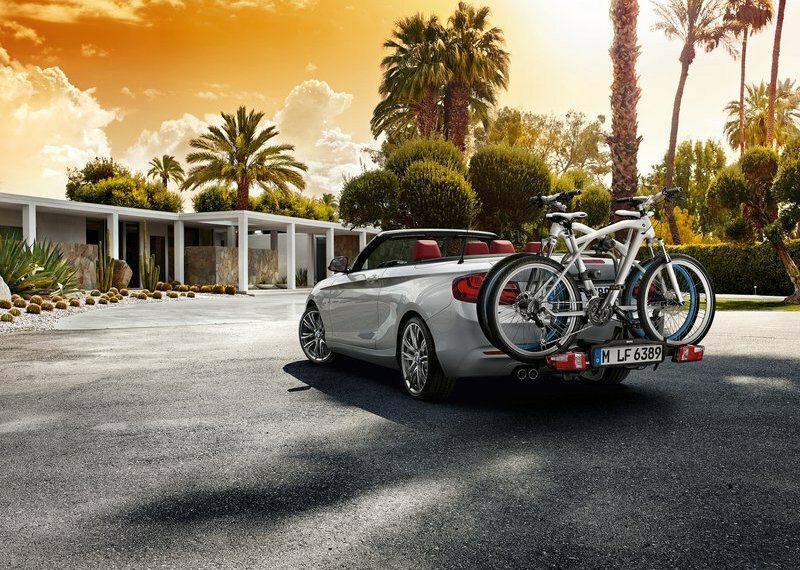 As always, BMW has got all the styling and design nuances impeccably right on this pricey drop-top. Hope it also deals with the turbulence well at high speeds without installing an additional wind deflector like the Windblox windscreen or something mounted in the rear.